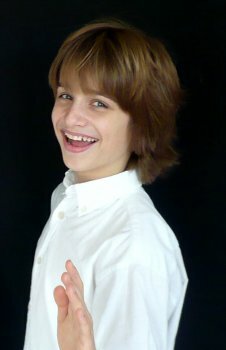 14-years old Ralf Mackenbach (born 4th of October 1995) from Best, North Brabant, has already established himself as an actor in musicals and TV commercials famous all across The Netherlands. 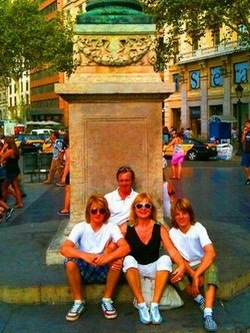 In 2005 he has played role of Jakopje in Beauty and the Beast musical (along with his older brother Rick). 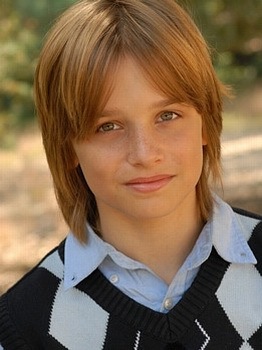 In 2007-2008 he was starring in the lead role for the musical Tarzan. 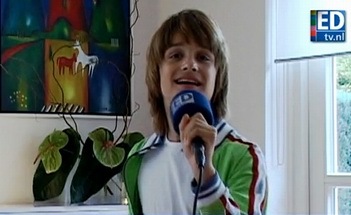 In 2007 Ralf has auditioned for Junior Songfestival and together with his band (Rick Mackenbach, Matthijs van de Langenberg and Rose-Anne van Elswijk with song Factor X) has qualified to the workshops stage, but unfortunately has to withdraw from competition due to his involvement in Tarzan. 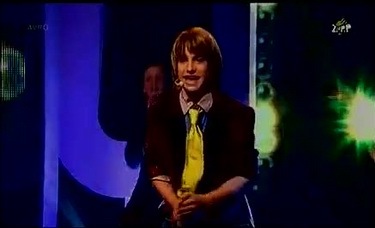 In 2009 new musical "Factor X" produced by Studio Pan, in which lead roles were played by Musical'sCool students including Ralf, Rick and last year Junior Songfestival entrants RReADY. Ralf's interests include: Dancing (breakdance, tapping), Fencing (saber, foil), Wakeboarding, Computing, Trampoline, Gaming, Skiing, Playing the drums and piano. Ralf studies fencing in P.S.V. Eindhoven fencing club. He is ranked 3rd in category "Men's saber, pupils" in the Netherlands. In between Ralf is going to school, is making his homework and he has even got the time to visit his friends. In the future Ralf wants to be an artist, just like his biggest idol John Legend. 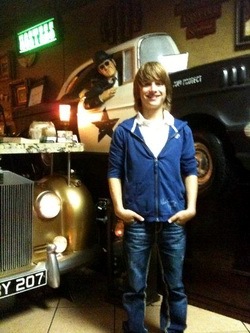 His favourite performers are: Alain Clark, John Legend, in future he wants to become a big artist, just like them. 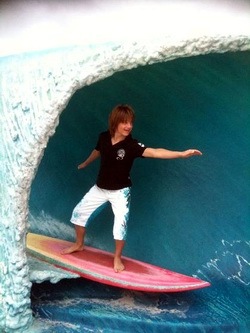 His favourite movies: Harry Potter, Lord of the Rings, Shrek, The Matrix, Titanic. Ralf speaks Dutch, French and English. Singing and dancing are things Ralf loves to do more than anything. For two years Ralf is following a professional preparatory training at Lucia Marthas Dance Academy in Amsterdam, where you can find him twice a week. 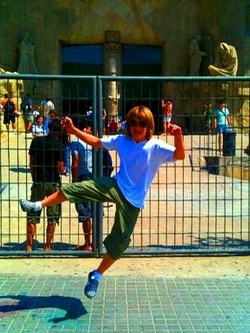 There he practices all several types of dancing styles; Urban- Pop- Break- and Tap-dancing. The last style he likes the most. 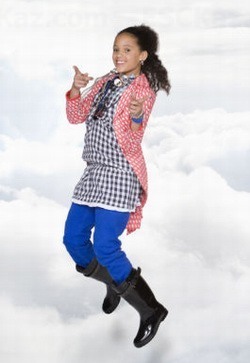 Ralf's song song is about tap dancing. This is a dance where you make music with your shoes. In your shoes are installed metal plates that make noise when they hit the ground. 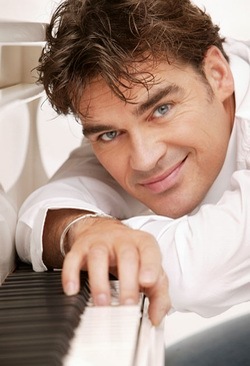 During the show Ralf showed that he can tap-dance very well and now he wants to let Kiev tap! 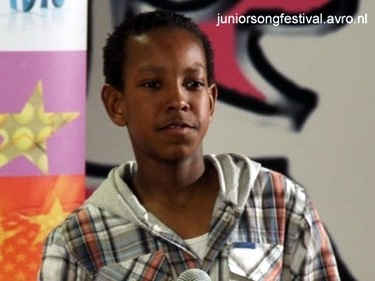 At the Junior Songfestival, Ralf has performed his song together with other students of Lucia Marthas school: Tim Koper (another "Tarzan" and "Beauty and the Beast" actor), Geronimo, Dylan and Cassius. Ralf's brother Rick (16, also musicals and movies actor, Ciske de rat, Les Miserables, Mijn Vader is een Detective 2009) has been among backing group of Cheyenne & Mayleen. 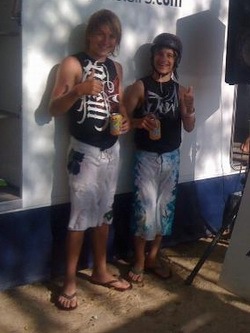 Ralf has also another older brother: Roel (21). As usual, Dutch commentator of the contest will be Sipke Jan Bousema, while results of Dutch voting will be announced by last year's representative Marissa. 14-летний Ралф Макенбах (родился 4го октября 1995 года) из Беста, Северный Брабант, уже заявил о себе как актере мюзиклов и рекламы, популярных по всей Голландии. В 2005 году он исполнил роль Jakopje в мюзикле Красавица и Чудовище (вместе со своим старшим братом Риком). В 2007-2008 годах он исполнял главную роль в мюзикле Тарзан. 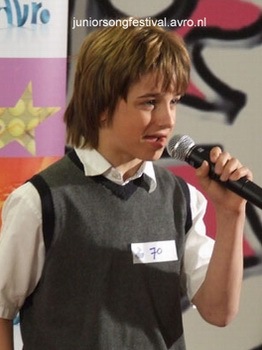 В 2007 году Ралф принимал участие в отборочной стадии к Junior Songfestival и вместе со своей группой (Rick Mackenback, Matthijs van de Langenberg и Rose-Anne van Elswijk с песней Factor X) вышли во вторую стадию workshops, но, к сожалению, из-за занятости Ралфа в "Тарзане" им пришлось сняться с конкурса. В 2000 году в свет вышел новый мюзикл "Factor X", который спродюсировала Studio Pan, а ведущие роли в нем сыграли студенты Musical'sCool, включая Ралфа, Рика и участников Junior Songfestival прошлого года группу RReady. Интересы Ралфа включают в себя танцы (брейкданс, чечётка), фехтование (сабля, рапира), вейкбординг, компьютеры, прыжки на батуте, катание на лыжах, игра на барабанах и пианино. Ралф занимается фехтованием в клубе P.S.V. Эйндховен. В настоящее время он занимает 3е место в рейтинге "Сабля, мужчины, ученики" в Голландии. В промежутке между всеми этими занятиями, Ралф также ходит в школу, делает домашние задания и у него даже остается время ходить в гости к друзьям. Его любимые исполнители: Alain Clark, John Legend, в будущем Ралф хочет быть таким же популярным артистом как они. Его любимые фильмы: Гарри Поттер, Властелин Колец, Шрек, Матрица, Титаник. Ралф владеет голландским, французским и английским языками. Больше всего Ралф любит петь и танцевать. Уже два года Ралф занимается в Танцевальной Академии Люсии Мартас в Амстердаме, где вы можете встретить его два раза в неделю. Там он изучает различные танцевальные стили: урбан, поп, брейк и степ. Песня Ралфа посвящена чечётке, которая нравится ему больше всего. Это танец, в котором музыка создается ударами ботинков, в которые вставлены металлические пластинки, создающие звук при ударе о поверхность. Во время шоу Ралф продемонстрировал, что прекрасно владеет этим танцем и сейчас хочет научить ему всех зрителей шоу. На Junior Songfestival с Ралфом выступили другие студенты танцевальной школы Люсии Мартас: Тим Копер (еще один актер "Тарзана" и "Красавицы и чудовища"), Геронимо, Дилан и Кешес. Его брат Рик (16 лет, также актер мюзиклов и кино, Ciske de rat, Les Miserables, Mijn Vader is een Detective 2009) входил в число бэк-танцоров Шейенн и Майлин. У Ралфа есть и еще один старший брат: Роель (21 год). Как обычно, комментатором голландского телевидения на конкурсе станет Сипке Ян Боусема, а результаты голландского голосования объявит прошлогодняя представительница - Марисса. Otherwise my heart will ache. 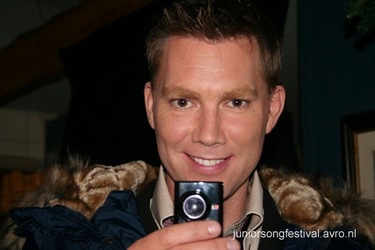 - Hello, Ralf, and first of all our congratulations for winning Dutch Junior Songfestival! What were your first thoughts when you realized you are the winner of the competition? - Please introduce yourself in one sentence? - Can you tell us about the story of the song creation? - Are you really big fan of tapping? Do you know that tapping group will be involved in opening act in Kyiv Junior Eurovision as well? - You have very active dance routine, but still manage to hold on your voice. How can you do that? And who is your vocal coach and choreographer of your entry? - Well I do that by really breathing during the more calm parts of the song and by keeping my breath "low," and my vocal coach is Babette Labije and my choreographer is Lucia Marthas and Junior and 2 tapteachers. - Is there a plan to add any visual effects for the international audience or the performance will remain basically the same as it was in national selection? - Well that's something I really don't know anything about because I think everything will be decided during the repetitions in Kyiv, or technicians already programmed everything. - Can you also introduce the dancers, who accompanied you? - One of them, Tim, was hurt during rehearsals, but still managed to dance on the final night, we hope he is well now and will travel to Kyiv. Were you more nervous during the performance because of that accident? - Luckily, Tim is coming! It did create a little more "thickness" in the air but Tim said he could do the the show, and if Tim says so, I believe him. - What is your plan of preparations for the contest? You live in a small town, whether you’ll have to travel often to the capital? - Well I'm not going to do anything differently then normal, so I'm not going to make any special preparations. I would just do anything I would do on a ordinary day. Yes I travel often to the capital of the Netherlands for my dance-school Lucia Marthas and for singing lessons at Babette's school (this is outside the JESC). The difference is I have a lot of PR in my country of course for KIEV! - Can you tell us, how looks your basic day? What activities do you usually have? - Is it difficult to combine contest preparation with studies in school? - What are your favourite school subjects? - Exact + (This is a combination of all the exact lessons in one lesson, but we still have all the exact lessons like; Maths, History etc). - What is your aim for the competition? Are you going to win it, or simply have good time and make new friends? - Simply have good time and make a lot of new foreign friends and have fun! - You’re known as musicals actor, was the Tarzan role biggest achievement for you so far? - I really don't know because musicals and the JESC are two totally different worlds so I can't compare them to see which one is "better." I like them both. - And have you taken part in music competitions before? Do you like to compete in general? 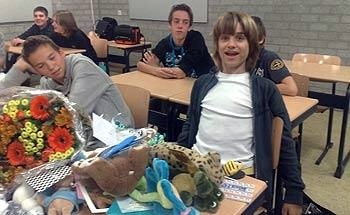 - My brother, Rose-Anne (from '08 Rready JSC in the Netherlands) and I participated in the JSC in the Netherlands in 2007 but in that time I was playing in Tarzan and I didn't have any "*play-turns" left *(in the Netherlands every kid gets 24 "play-turns so numbers of times to preform) and we got past the auditions but I needed play-turns so we had to stop. And I like FRIENDLY competition. 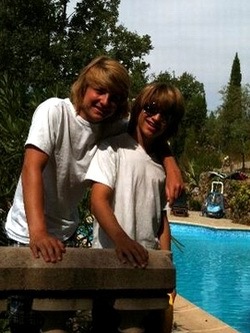 - In some musicals you’ve played alongside your brother Rick. Will he be travelling to Kiev to accompany you? Has he given any advice to you? - No but he will fly in the 20th to support me and his advice was "Don't worry." 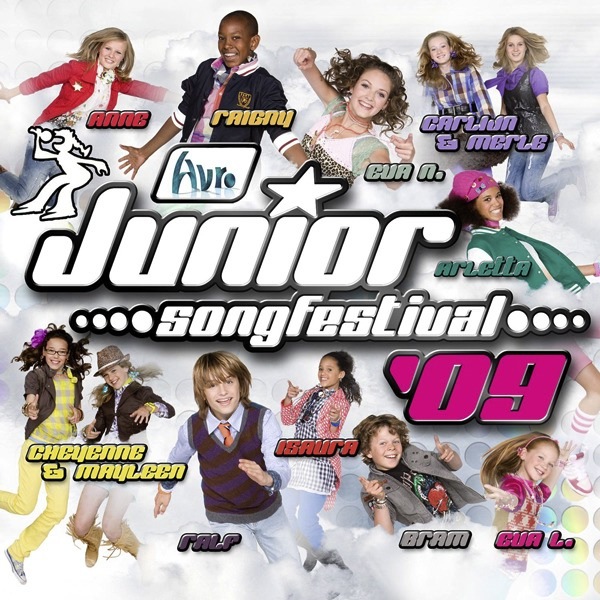 - Do you have some favourite entries from the past years of the JESC competition? - Well I think everybody's great and this time there are also a lot of special things,nice! So I don't really have a favorite. - Are you interested to find who will represent other countries in the contest, will you listen to the other competing entries prior to departure to Kyiv? 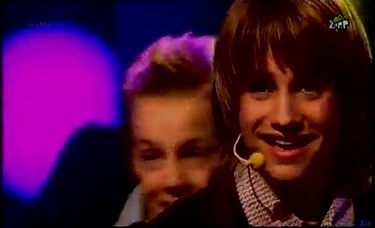 - And maybe you’ve met some previous JESC entrants from the Netherlands and they have advised you something? - What music do you typically like listening to? What are your favourite local and international singers? - What are your plans after the contest? Do you want to become professional singer in future, or follow a career of actor? - If you have anything to add to the readers, you can do it now. - Thanks for the interview and see you in Kyiv! - Thank you 2! - Привет, Ралф! Поздравляем тебя с победой на Голландском Junior Songfestival! Какая была твоя первая мысль, когда ты понял, что победил на этом конкурсе? - Представь себя нашим читателям одним предложением. - Расскажи нам, как создавалась твоя песня, о чем она? - Ну, мне очень нравится чечетка и отсюда и вышла концепция моей песни, а все остальное родилось после эксперементирования с новыми мелодиями, новыми словами, новыми ритмами и тому подобным. - Ты правда такой любитель чечетки? Знаешь ли ты что в открытии Детского Евровидения в Киеве будет принимать участие чечеточная группа? - У тебя очень сложный и активный танец и в то же время ты с легкостью держишь вокальную линию. Как тебе это удается? И кто твой преподаватель по вокалу и хореограф? - Ну, я стараюсь дышать больше во время спокойных частей песни и дышать глубоко. Мой преподаватель по вокалу - Бабетта Лабей, а мой хореограф - Люсия Мартас и еще два преподавателя по чечетке. - Как ты визуально представишь свою песню на сцене? Какие будут изменения по сравнению с национальным конкурсным отбором? - Ну, это пока я сам точно не знаю, думаю, что мы посмотрим как номер смотрится на репетициях в Киеве, или, возможно, уже технически все запрограммировано и это нельзя изменить. - Представь нам, пожалуйста, твоих друзей, которые выступят с тобой на сцене в качестве подтанцовки? - Да, мои танцоры это Тим, Дилан, Кешес и Геронимо. Я их уже давно знаю с моих уроков в танцевальной академии в Амстердаме. - Один из них, Тим, получил травму во время репетиций, но все равно выступил на финале, и мы надеемся, что с ним все в порядке и он поедет с тобой в Киев. Нервничал ли ты из-за этого во время финального выступления? - К счастью, Тим едет с нами! Да, это создало немного напряжения в воздухе, но Тим сказал, что он сможет выступить в шоу, а если Тим что-то говорит, я ему верю. - Какие у тебя планы подготовки к конкурсу? Ты живешь в маленьком городе, тебе приходится часто ездить в столицу? - Ну, на самом деле, это время не особенно отличается от моей обычной жизни, поэтому как-то особенно я готовиться не собираюсь. Я буду жить как обычно. Да, я часто езжу в Амстердам на занятия в танцевальной школе Люсии Мартас и на уроки вокала в школе Бабетте (это вне Евровидения). Разница в том, что мне надо участововать во многих программах и давать интервью для промоушена перед Киевом! - Расскажи нам, как выглядит твой обычый день? Чем ты обычно занимаешься? - Сложно ли тебе совмещать подготовку к конкурсу с занятиями в школе? - Какие твои любимые школьные предметы? - Какая твоя цель на конкурсе Детского Евровидения? Ты хочешь победить или просто провести хорошо время и завести новых друзей? - Просто отлично провести время, найти много заграничных друзей и повеселиться! - Ты известен как актер мюзиклов, считаешь ли ты роль Тарзана своим высшим на сегодня достижением? - Я даже не знаю, поскольку мюзиклы и детское Евровидение - это два различных мира, и я не могу их сравнить, чтобы сказать, какой из них "лучше". Они мне очень нравятся. - Ты уже участвовал в каких-то музыкальных конкурсах? Тебе нравятся конкурсы в-общем? - Мой брат, Роза-Анна (из группы Rready, участников голландского отбора 08) и я - принимали уччастие в отборе на Детское Евровидение 2007, и в то же время я играл в Тарзане и у меня не оставалось больше 'play-turns' (в Нидерландах у детей артистов лимитированы часы, которые оны могут публично выступать), поэтому мы прошли первые прослушивания, но после этого мне пришлось отказаться. И мне нравится ДРУЖЕСКОЕ соперничество. - В некоторых мюзиклах ты играл со своим братом Риком. Он поедет в Киев сопровождать тебя? Давал ли он тебе какие-то советы? - Он прилетит только 20го ноября, и его совет был прост: "Не волнуйся". - Есть ли у тебя какие-то любимые песни из прошлых лет конкурса? - Я думаю, что было много отличных песен, все участники были очень сильными! Поэтому у меня нет особых фаворитов! - Тебе интересно узнать, кто будет твоими соперниками в Киеве, ты слушаешь песни участников из других стран, удалось ли уже познакомиться с конкурсантами? - Может быть ты встречался с прошлыми конкурсантами из Нидерландов и они тебе тоже что-то советовали? - Какую музыку ты обычно слушаешь? Какие твои любимые местные и зарубежные исполнители? - Какие у тебя планы после Конкурса Евровидения? Ты хочешь стать профессиональным певцом, или продолжить карьеру актера? - И, если тебе есть, что добавить зрителям, ты можешь это сделать сейчас. - Спасибо за интервью и увидимся на Евронеделе! "Well guys it's almost there! Sunday 15. November I go to Kiev! And for those who wish, you may see me off and say goodbye! I leave at around 8.30 (early!) from Eindhoven station, platform 5 to the airport! Sunday, November 22 I come back to the Netherlands at Schiphol at 19.50, so you may also get in-waving. We have got the program and it will be fun, the day is the 1st Postcard-days (ie the movies that will be broadcast prior to all the performances) and at night there is an opening ceremony, and every day there is obviously a rehearsal. Friday the 20th is the dress rehearsal and on the Saturday the main show. You know you can not vote for your own country (but if you have family and friends abour they can vote!). We've bought appropriate clothing in Amsterdam and it looks good and you will see it on TV on Sunday. Of course, all dancers are coming with me, I meet them at Schiphol. Oh and a nice movie from Georgia! We have a laptop so I will try to reply as much as possible, from Kiev, also follow the new Internet-movies that will be published on JSF site from Kiev. I'm looking forward meeting other boys (and girls! ), oh, and I have learnt a few words in Russian and Ukrainian! "Вот, почти и наступило время! В воскресенье, 15го ноября я отправляюсь в Киев. Мы уезжаем в 8.30 утра (рано!) со станции Эйндховен, платформа 5, в аэропорт! И те кто хочет, может прийти проводить меня! В воскресенье, 22 ноября, я возвращаюсь домой в Шкипол в 19.50, поэтому вы тоже можете прийти туда. Мы получили программу и будет очень интересно, в первый день пройдут съемки открыток (фильмов, которые будут показаны перед выступлениями участников), а вечером пройдет церемония открытия, и каждый день будет проходить репетиция. В пятницу, 20го, пройдет генеральная репетиция, а в субботу само шоу. Вы знаете, что вы не можете голосовать за свою страну (но если у вас есть друзья или родственники зарубежом, то они могут голосовать!). В Амстердаме мы приобрели одежду, выглядит неплохо и вы увидите ее в воскресенье. Конечно, все танцоры едут со мной, мы встретимся с ними в Шкиполе. Да, и вот интересный клип из Грузии! Мы возьмем с собой ноутбук и я постараюсь отвечать как можно больше вам из Киева, также следите за новыми интернет-видео, которые будут размещаться на сайте JSF. Я с нетерпением жду встречи с другими мальчиками (и девочками! ), да, и я выучил несколько слов на русском и украинском! Ралф также дал радио интервью Omroep Brabant, которое вы можете услышать здесь (на голландском). 11/11 Dutch participants of the Junior Eurovison Song Contest, that will take place on November 21 this year in Kiev, have stepped for the first time on the Ukrainian soild, but they did it at home - in the Netherlands. Yesterday, at the Ukrainian Embassy in the Netherlands was held a meeting with the winner of national preselection Ralph Mackenbach. Together with Ralph to the embassy came his parents and support group, which also this month will visit Ukraine. Dutch attitude to the Junior Eurovision is very serious, which was also shown by the presence at the meeting of a crew of the national broadcaster AVRO, which will broadcast the show on Dutch television. Participants of the meeting have noted that the first impression is always important, so warm meeting with young Dutchman was designed to promote the positive image of the Ukraine. In the embassy they can see for the first time Ukraine through the eyes of contemporary Dutch painter J. van Gogh, whose exhibition was opened there earlier this month. Relations of Ukraine with the Netherlands within the frames of Junior Eurovision Song Contest have a long history, it was in Rotterdam in 2007 was it was declared about the wish of Ukraine to host Junior Eurovision-2009 in Kiev. Organizers of the competition in Rotterdam paid a big attention to the visit of a large support group from Ukraine, which was led by the President's wife Kateryna Yushchenko. Ralf leaves for Ukraine on Sunday. From Monday you can follow his adventures on JSF website. Every day, some backstage clips will be place online, so you won't miss anything of his experiences in Kiev. You can also ask Ralf question by sending e-mail and may be it will be featured in one of clips. Голландские участники Детского Песенного конкурса Евровидение, который состоится 21 ноября этого года в Киеве, впервые ступили на украинскую землю, однако сделали это они у себя дома - в Нидерландах. Вчера, в украинском посольстве в Нидерландах состоялась встреча с победителем Национального отборочного тура Ралфом Макенбахом. Вместе с Ралфом пришли его родители и группа поддержки, которые тоже в этом месяце посетят Украину. Отношение голландцев к детскому конкурсу очень серьезное, об этом свидетельствует также и присутствие на встрече общенационального телеканала AVRO, который будет транслировать конкурс на нидерландском телевидении. Участники встречи отмечают, что важны всегда первое впечатление от знакомства, поэтому теплая встреча с юным нидерландцем призвана способствовать позитивному открытию Украины. В посольстве они могли впервые увидеть Украину глазами современного нидерландского художника Я. Ван Гога, выставка которого открылась в начале месяца. Связи Украины с Нидерландами в рамках Детского песенного конкурса Евровидение имеют свою историю, ведь именно в Роттердаме 2007 года было заявлено о желании Украины провести Детское "Евровидение-2009» в Киеве. Нидерландские организаторы тогдашнего конкурса в Роттердаме со всем вниманием отнеслись к визиту большой группы поддержки из Украины, которую возглавила супруга Президента Екатерина Ющенко, сообщает отдел международных отношений НТКУ. Ралф отправится в Украину в воскресенье. С понедельница вы сможете следить за его приключениями на сайте JSF. Каждый день онлайн будут размещаться клипы, поэтому вы не пропустите ничего, происходящего с Ралфом в Киеве. Вы также можете послать вопрос Ралфу по е-мэйл и, возможно, он войдет в один из клипов. 01/11 Ralf has updated his blog from Florida, USA. 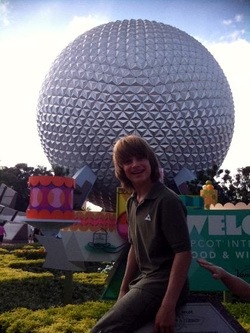 He told his fans that he has visited a few parks in Florida, Universal Studios, Islands of Adventure, Magic Kingdom and Epcot and he considers Universal and Islands of Adventure as the best theme part, and Epcot as the nicest park. He has also noticed there a few Magic Kingdom tapdancers! In the next blog he promised to publish few pictures from his trip to US. Ралф обновил свой блог из Флориды, США. Он рассказал своим поклонникам, что он посетил ряд парков во Флориде: парк Universal Studios, Islands of Adventure, Magic Kingdom и Epcot. Лучшими тематическими парками он посчитал Universal и Islands of Adventure, Epcot - самым красивым парком, а в Magic Kingdom он заметил несколько танцоров чечетки! В следующем блоге он обещал опубликовать несколько фотографий со своей поездки в США. 24/10 In his 5th blog post, Ralf has informed that participants of Junior Songfestival have appeared in Televizier-Ring gala on October 23rd performing with Simone Kleinsma. Also see short backstage video here. After that Ralf is going to Orlando for a week for his Autumn holidays. Meanwhile, the Christmas CD of JSF participants has finished and it will be released soon. The TV version of the Christmas show is also being prepared now. Junior Kerstfeest (so different from usual Junior Sint-Festival of Sinterklaas that is celebrated only in few countries, including Netherlands) will be aired on 26th of December, 17.50. See short teaser here. В своем 5м посте в блоге Ральф рассказал о том, что участники Junior Songfestival приняли участие в церемонии Televizier-Ring, прошедшем 23го октября, выступив вместе с Симоне Клеинсма. Также короткий закулисный ролик можно увидеть здесь. После этого на неделю Ралф отправляется на осенние каникулы в Орландо. Тем временем, завершилась запись рождественского альбома в исполнении конкурсантов и он готовится к выпуску. Готовится и телевизионная версия рождественского концерта. Junior Kerstfeest (таким образом, программа будет отличаться от обычного Junior Sint-Festival, поскольку пришествие Sinterklaas'а отмечается только в некоторых странах, включая Голландию) будет показан 26го декабря в 17.50 местного времени. Короткий ролик можно увидеть здесь. 15/10 Dutch broadcaster has presented preview version of their entry - which you can watch here. As usual for The Netherlands it includes NF performance and some backstage shots. 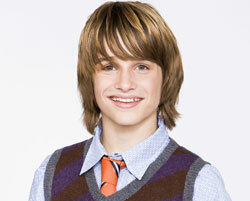 On this Saturday, Ralf will appear on Kids Top 20 as guest of the show. Телекомпания Голландии презентовала превью версию своей песни, которую вы можете увидеть здесь. Как обычно в Ниделандах оно состоит из выступления на отборе и некоторых закулисных съемок. В субботу Ралф примет участие в программе Kids Top 20 в качестве гостя шоу. "I would like to thank you all for your support and for your votes, whoever you voted for, as all proceeding from the votes are going to UNICEF. And I would like to thank the whole my group and especially my good friend Tim. To clarify things, during rehearsal Tim has pushed his foot very hard and it seems there was a crack in his metatarsus (check your biology book if you're interested what it is) (report in Jeugdjournaal), but after visiting orthopedist it became clear that Tim still, despite the crack, wanted to dance with some tape around the foot, and so he still could dance in the evening. I would also like to thank Danilo (reserve dancer) who was very quick to pick things up and was ready to step in. "Я хочу поблагодарить вас всех за вашу поддержку и ваши голоса, за кого бы вы ни голосовали, весь доход от голосования идет в детский фонд ЮНИСЕФ. Я хотел бы поблагодарить всю мою группу и особенно моего хорошего друга Тима. Чтобы прояснить вопрос, во время репетиций Тим сильно ударился ногой, и похоже у него возникла трещина в плюсне (что это такое вы можете прочитать в учебнике биологии) (репортаж в Jeugdjournaal), но после того, как он посоветовался с врачем-ортопедом он решил что, несмотря на трещину, он хочет выступать с замотанной ногой, и поэтому он танцевал вечером. Я очень хочу поблагодарить Данило (резервного танцора), который быстро подготовился и был готов вступить в любой момент. Я был очень рад принимать участие в финале, и, конечно, я очень рад был услышать объявление баллов. Потом к нам сем был большой интерес прессы, которая прямо атаковала нашу группу. За этим последовала вечеринка, с участием всех, кто работал над конкурсом и семей финалистов. Потом, 23 часа мы добирались до Беста (моего родного города) и сумашествие продолжилось в моем доме (спасибо, девчонки!) и мы веселились до самого утра (вы можете увидеть это в Jeugdjournaal и здесь). Завтра у меня вечеринка в школе (видео из Pleincollege Sint Joris здесь), мне еще надо дать несколько интервью, но думаю, за несколько дней все успокоится и я смогу вернуться к нормальной жизни. О, да, но 21го ноября я буду в Киеве!". As announced earlier, coverage of Dutch Junior Songfestival will start at 12.00 on JSF AVRO website leading to the live final on Nederland 3 at 19.00. 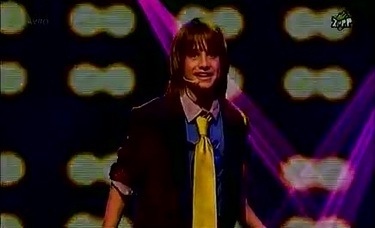 Ralf Mackenbach (turning 14 tomorrow) will represent The Netherlands with "Click Clack". Congratulations wth double celebrations! Watch final again here. Watch report in English here and in Dutch here. Audio interview at Omroep Brabant, video report there. Ralf also appeared at Schooltv Weekend journal. National final has been watched by 580.000 viewers, 11.3% rating, 3.9% share. It is the highest viewing figure for NF broadcasted by Nederland 3 channel (since 2006). Как сообщалось раньше, освещение финала голландского Junior Songfestival начнется в 14.00 на сайте AVRO, прямой эфир финала в 21.00 на Nederland 3. Ралф Макенбах (отмечающий завтра 14-летие) представит Нидерланды с песней "Click Clack". Поздравления с двойным праздником! Запись финала вы можете увидеть здесь. Репортаж на английском можно увидеть здесь, на голландском - здесь. Аудио интервью на Omroep Brabant, видео репортаж там же. Ралф также принял участие в программе Schooltv Weekend journal. За национальным отбором следили 580 000 зрителей, 11.3% рейтинг, 3.9% доля. Это наивысший рейтинг национального отбора за годы его показа на канале Nederland 3 (с 2006 года). 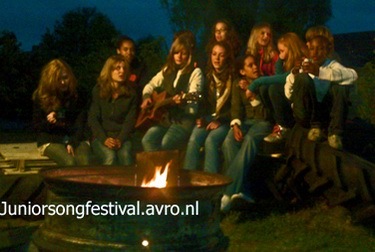 01/10 Extensive coverage for Dutch Junior Songfestival final on Saturday on AVRO website. The final itself starts at 19:00 hours, but you can follow finalists all day backstage in the reports by Famke. From 12:00 hours backstage movies will be appearing here. At 18.10 5th episode of JSF diaries will be aired. Do you have any questions for finalists, Sipke Jan, stylists, visagists, cameramen etc? Mail them here and may be they will be asked during live coverage. On Saturday morning, JSF participants will appear on Radio 2 (recorded on September 29). Theme song "Morgen is vandaag" is currently 10th in the chart Kids Top 20, which is topped by new song of Lisa, Amy and Shelley "Magie". Vote in the chart on radio's site. On the same morning finalists will also be live on Z@pp. Meanwhile, fan action continues. If you're a true fan of any of JSF contestants, create your video and win special Boom Boxes as prizes. Perhaps you've been distributing flyers, or you have been sticking posters on your street, maybe every day you wear a T-shirt bearing a photo of your favorite, or you have flags on your bike? Let everyone see that you're a true fan, do a movie (or photos), put it in the SterrenMixer and win the prize. Deadline to enter is October 9. You can also win skirts of Oopsy Daisy Baby, similar to the ones weared by Cheyenne & Maylene during their performance, taking part in quiz here. Подробное освещение финала голландского Junior Songfestival пройдет на сайте AVRO. Сам финал начнется в 21.00 по Москве, но уже с 14.00 вы сможете следить за репортажами Фамке из-за кулис, которые будут появляться здесь. В 20.10 в эфир выйдет 5й эпизод Дневников Евровидения. Если у вас есть вопросы для финалистов, Сипке Яна, стилистов, визажистов, операторов и т.д., вы можете их отправить по этому адресу, и, возможно, они прозвучат во время прямого эфира. В субботу утром участники отбора примут участие в программе на Radio 2 (запись прошла 29 сентября). Тематическая песня "Morgen is vandaag" в настоящее время занимает 10е место в чарте Kids Top 20, который возглавляет новая песня Lisa, Amy и Shelley "Magie". Вы можете проголосовать в чарте на сайте радио. Тем же утром, финалисты появятся в прямом эфире на Z@pp. Тем временем, продолжается фан-акция. Если вы преданный поклонник одного из участников отбора, создайте ваше видео и выиграйте один из нескольких Boom Boxes в качестве приза. Возможно вы распространяли флайеры, или развешивали плакаты на вашей улице, или каждый день ходите в майке с изображением вашего кумира, или прикрепили флажки с ним на ваш велосипед? Пусть все увидят, какой вы преданный фанат, снимите видео (или сделайте фото), введите их в Sterren Mixen и выиграйте приз. Крайний срок приема заявок на участие - 9 октября. Вы также можете выиграть юбки Oopsy Daisy Baby, аналогичные тем, которые были на Cheyenne и Maylene во время их выступления, приняв участие в розыгрыше. At 19.00 viewers in the Netherlands will be able to watch 2nd semifinal of national preselection, preceeded by broadcast of Eurovision diary at 18.10. Right after the show, at 20.00, online wildcard selection will be launched between 6 loosing acts. To vote one should be registered on AVRO site. Then you'll have to rate the acts from 1 to 5 stars, you may rate every candidate, but vote only once. Voting will be closed at 10.00 on Sunday. Ralf and Eva L. have qualified for the final. Watch recording of the 2nd semifinal here. Voting for the wildcard has now started. TV ratings for the 2nd show were 436.000 viewers, 11.0% rating, 2.9% share. It's the highest rating for any semifinal broadcasted by Nederland 3 (since 2006). В 21.00 зрители в Голландии смогут посмотреть 2й полуфинал национального отбора, перед которым в 20.10 будет показан дневник конкурса. Сразу после окончания шоу, в 22.00 начнется процесс отбора wildcard, который пройдет онлайн, в нем примут участие 6 проигравших исполнителей. Для голосования, необходимо быть зарегистрированным на сайте AVRO. Затем у вас появится возможность дать песням-кандидатам от 1 до 5 баллов, можно оценить всех кандидатов, но сделать это только однажды. Голосование будет завершено в полдень в воскресенье. 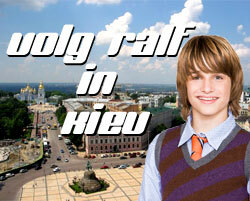 Ralf и Eva L. вышли в финал. Запись 2го полуфинала вы можете увидеть здесь. Началось голосование за wildcard. Телерейтинги 2го шоу составили 436 000 зрителей, 11% рейтинг, 2.9% доля. Это - наивысший рейтинг для полуфинала конкурса, показанного на Nederland 3 (c 2006 года). The Netherlands are launching televized part of their preselection at 19.00 with first semifinal. Eva N and Bram have qualified to the final. Watch semifinal in AVRO archive here. TV ratings for the first semifinal were 337.000 viewers with rating of 9.0% and share of 2.2% Нидерланды открывают телевизионный этап своего отбора с показом первого полуфинала в 21.00. Eva N и Bram вышли в финал. Посмотреть полуфинал вы можете в архиве AVRO здесь. 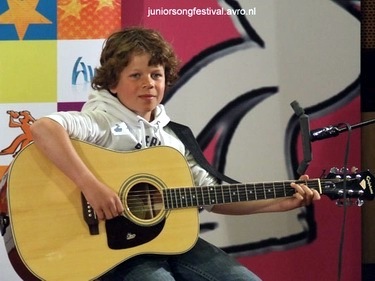 16/09 Names of professional jury to judge participants of Dutch Junior Songfestival have been revealed today by AVRO. They are: singer Jeroen van der Boom (De Toppers, Eurovision 2009), rapper Lange Frans and TV presenter Yolanthe Cabau van Kasbergen. First semifinal show will take place this Saturday. Professional jury, children jury and televoters will select 4 finalists, while internet voting will add 5th as a wildcard. Стали известны имена членов жюри голландского Junior Songfestival, их объявил сегодня телеканал AVRO. 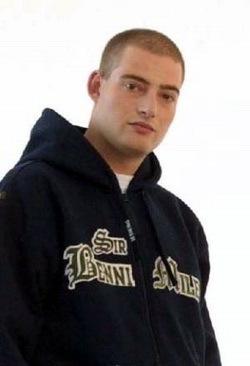 В жюри вошли певец Йероен ван дер Боом (De Toppers, Евровидение 2009), рэппер Ланге Франс и телеведущая Йоланте Кабау ваг Касберген. Первое полуфинальное шоу состоится в эту субботу. Профессиональное жюри, детское жюри и телезрители выберут 4х финалистов, а интернет-голосование сможет добавить к ним 5го. 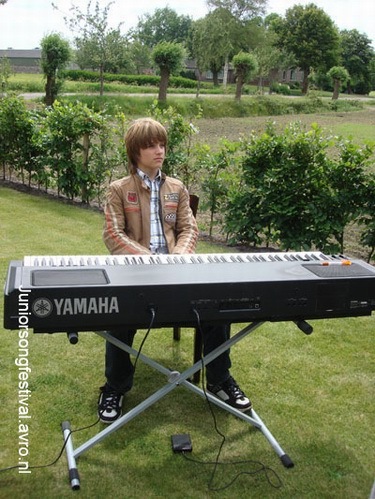 08/09 Music video for theme song of Junior Songfestival 2009 "Morgen is vandaag" (written by Tjeerd van Zanen and Stephan Geusebroek) has been released today and can be seen on AVRO site here and you can see "making of" video here. Official preselection album will be released on 11th of September. 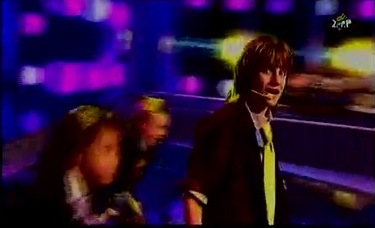 2008 - Ojee Ojee Выпущен официальный видеоклип на тематическую песню Junior Songfestival 2009 "Morgen is vandaag" (авторы Tjeerd van Zanen и Stephan Geusebroek), увидеть его вы можете на сайте AVRO, также вы можете увидеть рассказ о съемках клипа здесь. Официальный альбом отбора выйдет в продажу 11го сентября. 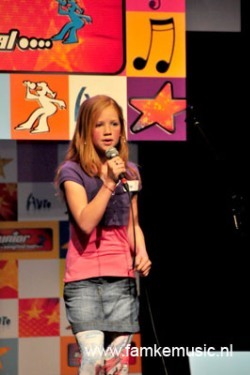 27/08 Are you a Dutch citizen, aged 10-15 and a big fan of Junior Songfestival? Sign up to become a member of children jury, one of the juries who will be deciding on the representative of the Netherlands in Junior Eurovision 2009! 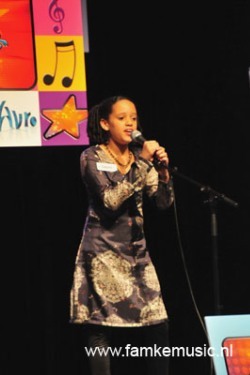 Send to juniorsongfestival@avro.nl your name, adress, phone number, age, describe your hobbies, your experience of public activities if you had any and explain, why do you want to become part of chilren's jury. You can sign up by September 8th, by September 14th those selected will be notified. Вы гражданин Нидерландов в возрасте от 10 до 15 лет и большой поклонник Junior Songfestival? Подайте заявку на участие в специальном детском жюри, которое будет участвовать в принятии решения о том, кто будет представлять Голландию на Детском Евровидении 2009! Отправьте на juniorsongfestival@avro.nl ваше имя, адрес, номер телефона, укажите возраст, опишите ваши хобби, расскажите, был ли у вас опыт выступлений на публике, и объясните, почему вы хотите попасть в детское жюри. Подать заявки можно до 8го сентября, до 14 сентября отобранные кандидаты получат уведомления. 21/08 Starting today Z@pp will air preview videos of finalists of Dutch Junior Songfestival. The videos are shown between the other programs and it is advised to tune in earlier, if you want be the first to watch clips, as times might be slightly different. On August 31st all videos will be made available through official JSF website, or alternatively you can already watch them being added here. The mini-reports will introduce the finalists Anne, Arletta, Bram, Carlijn & Merle, Cheyenne & Mayleen, Eva L, Eva N, Isaura, Raigny and Ralf and viewers will be able take a look at their "super luxury" houses. Just like last year you can follow the preparation of finalists. Castings, auditions, JSF academy, recordings of the CD and shootings of videos, and other interesting things in Junior Songfestival Reports. Meanwhile, you can read interviews with Eva N, Eva L, Isaura, Bram and Cheyenne in AVRO blog (in Dutch). Начиная с сегодняшнего дня телеканал Z@pp будет транслировать видеоклипы участников голландского Junior Songfestival. Эти видео транслируются в промежутках между другими программами телеканала, и поэтому, рекомендуется настраиваться несколько ранее, если вы хотите стать первыми, кто увидит эти клипы. 31го августа все клипы будут размещены на официальном сайте JSF или, альтернативно, вы можете следить за их ежедневным добавлением здесь. Эти мини-репортажи расскажут о финалистах отбора Anne, Arletta, Bram, Carlijn & Merle, Cheyenne & Mayleen, Eva L, Eva N, Isaura, Raigny и Ralf и зрители смогут увидеть их в домашней обстановке. Как и в прошлые годы вы сможете следить за подготовкой финалистов. Кастинги, прослушивания, JSF академия, запись диска, съемки видеоклипов и другие интересные репортажи ждут вас в дневниках Junior Songfestival. Тем временем, вы можете прочитать интервью с участниками: Eva N, Eva L, Isaura, Bram, Cheyenne в блоге AVRO. 18/08 Finalists of Dutch Junior Songfestival will give unique concert for UNICEF on September 30th. During this concert, that can be attended for free by those who join by 10th of September UNICEF project Kids United participants of preselection will perform own entries and joint UNICEF song "Morgen is vandaag". 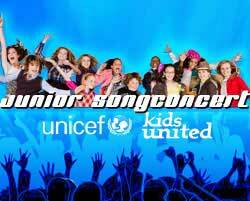 For third consecutive year Dutch Junior Songfestival will be run in cooperation with UNICEF and all call and SMS revenues will be donated to the fund. Concert will be presented by UNICEF special representative Sipke Jan Bousema and will take place in AVRO studio. Also announced that AVRO Junior Songfestival reports will be aired weekly from Saturday, September 5th on Z@pp, Nederland 3, at 18:10 local time. Финалисты голландского отбора Junior Songfestival дадут уникальный концерт для ЮНИСЕФ 30го сентября. Во время этого концерта, который смогут бесплатно посетить те, кто до 10го сентября присоединится к новой программе UNICEF Kids United, участники отбора исполнят свои песни и общую песню тематики ЮНИСЕФ "Morgen is vandaag". Уже третий год организаторы голландского Junior Songfestival проводят его в сотрудничестве с ЮНИСЕФ и вся прибыль от звонков и СМС передается в фонд. Ведущим концерта станет специальный представитель ЮНИСЕФ Сипке Ян Боусема. Также объявлено, что в эфире канала Nederland 3 еженедельно, начиная с 5го сентября в 18.10 местного времени, будут транслироваться дневники национального отбора. 03/08 Ticket sales for Dutch Junior Songfestival is underway. Both semifinals and final will take place in TV studio in Baarn. Tickets can be booked here. Ticket for the semifinal will cost 17.50 Euros, for semifinal 15.00 Euros plus booking and shipping charges. Началась продажа билетов на голландский национальный отбор Junior Songfestival, полуфиналы и финал которого пройдут в телестудии в Баарне. Билет на финал стоит 17.50 евро, на полуфинал 15.00 плюс расходы по резервированию и доставке. 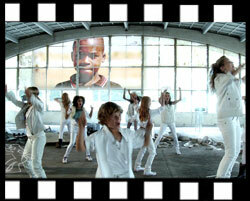 AVRO has presented a new competition for talented children: XZing for UNICEF. Compose a song about children through online tool XZing, your song will be published on Junior Songfestival website and you can win nice prizes. 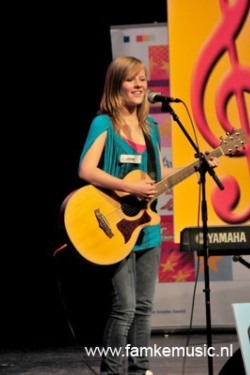 XZING tool is an online music studio specially developed for the submission of songs for the AVRO Junior Songfestival. Thanks to the XZING music studio it is possible to do online music composing with different instruments like the guitar and the piano. You can play the instruments using the keyboard, through a webcam or microphone. XZING is made specifically for children and is therefore decorated in an understandable way. AVRO презентовало новый конкурс для талантливых детей: XZing для UNICEF. Сочини песню о детях при помощи онлайн инструмента XZing, твоя песня будет опубликована на сайте Junior Songfestival и ты можешь стать обладателем интересных призов. XZING - это онлайн музыкальная студия, разработанная специально для облегчения подачи заявок на участие в голландском Junior Songfestival. При ее помощи можно сочинять музыку для песни онлайн, воссоздавая звучание различных музыкальных инструментов, таких как гитара или фортепиано. Вы можете играть на инструментах с помощью клавиатуры и записывать песню через веб-камеру или микрофон. XZING разработан специально для детей, поэтому имеет весьма понятный интерфейс. 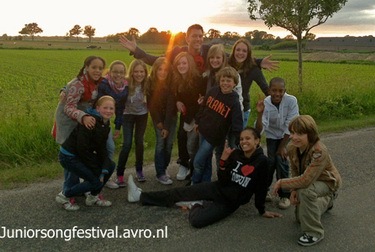 Dutch broadcaster AVRO has announced the draw of semifinals of Junior Songfestival. First semifinal on September 19th will feature Bram, Eva N, Isaura, Raigny and Cheyenne & Mayleen. Second semifinal on September 26th will include performances of Anne, Arletta, Eva L, Ralf and Carlijn & Merle. National final is scheduled for October 3rd. Currently, the final touches to the songs are being done and from the beginning of September compilation cd will be available in stores. 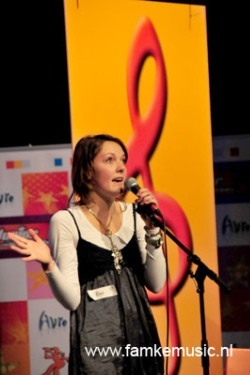 Participants of the Junior Songfestival have met several well known artists. Participants of the first semifinal have been introduced to Jan Smit and Nick & Simon at the restaurant in Volendam and later attended Jan's studio and sang together several song with accompaniment of Bram's guitar. Participants of the second semifinal had a special meeting with Jason Mraz. All these special experiences will be included in the AVRO Junior Song Reports from September 5 in Z@pp section on Nederland 3. Meanwhile, official site of preselection now host diaries of all participants and one can check them here (in Dutch). Official hyves page has also been launched. Объявлена жеребьевка полуфиналов Junior Songfestival. В первом полуфинале, 19го сентября, выступят Bram, Eva N, Isaura, Raigny and Cheyenne & Mayleen. Во втором полуфинале, 26го сентября, свои песни исполнят Anne, Arletta, Eva L, Ralf and Carlijn & Merle. Финал национального отбора назначен на 3 октября. В настоящее время завершается запись песен и в начале сентября сборник отбора поступит в продажу в музыкальных магазинах. Участники национального отбора встретились с рядом известных артистов. Конкурсанты первого полуфинала познакомились с Яном Смитом и дуэтом Ник и Саймон в ресторане в Волендаме, посетили студию Яна и вместе исполнили несколько песен под аккомпанимент гитары Брэма. Участники второго полуфинала встретились с Джейсоном Мрацем. Все эти встречи войдут в дневники Евровидения, которые будут транслироваться в рамках детской секции Z@pp на канале Nederland 3 с 5го сентября. Тем временем, на официальном сайте отбора открылись дневники конкурсантов и вы можете прочитать их здесь (на голландском). Запущена также официальная hyves страница. Like: C: Accordion, Workshop action, Singing, Dance classes, Krezip. 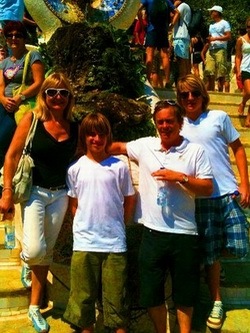 M: Piano, Singing, Dance classes, Shopping, Britney Spears. Likes: Singing, Spending time with friends, Piano, Lodging, Alain Clark, Kelly Clarkson. Likes: Dancing, Fencing, Wakeboarding, Computers, Trampoline jumping, Gaming, Alain Clark, John Legend. Likes: Football, Jason Mraz, Usher, Marco Borsato. 28/06 "Morgen is vandaag" (Tomorrow is today) is the title of the song that is recorded by finalists of Junior Songfestival and will be released on a official compilation CD. The social song, written by Tjeerd van Zanen and Stephan Geusebroek is devoted to making the better world. Recording of the song took place today and you can watch sample video here. Music video for this song is currently in the making and will be broadcasted on Z@pp starting end of August. Also, few days ago official photoshoot of Dutch finalists took place. Photos will be made available shortly through official AVRO website, while currently you can watch a video from shooting session featuring also UNICEF ambassador Sipke Jan Bousema. Kaj Melsen and Micha de Groot, two 15 years old DJs host weekly radio reports on the progress of preparations to Junior Songrestival. The reports are available to listen online between 19.00 and 21.00 every Wednesday or as downloadable archive podcasts. 28/06 "Morgen is vandaag" (Завтра уже сегодня) - заголовок песни, записанной финалистами Junior Songfestival, которая войдет на официальный альбом национального отбора. Песня, которую написали Тьерд ван Занен и Стефан Геусбрук носит социальный подтекст. Запись ее прошла сегодня и отрывок из нее вы можете увидеть здесь. Видеоклип на эту песню сейчас находится в работе и будет ротироваться на детском канале Z@pp c конца августа. Также, несколько дней назад прошла официальная фотосессия финалистов голландского отбора. Фото из нее в ближайшем будущем будут размещены на сайте AVRO, а пока вы можете посмотреть видео со съемок, в которых принимал участие и посол ЮНИСЕФ Сипке Ян Боусема. Кай Мелсен и Миша де Гроот, два 15-летних диджея ведут еженедельные репортажи о подготовке к Junior Songfestival. Слушать их можно еженедельно онлайн в промежутке между 19.00 и 20.00 по средам или скачать в архиве. 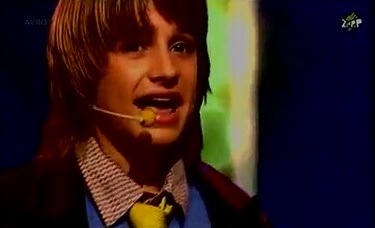 Bram Bos (10, 02/09/98, Hilversum) - Ik wil rocken! Eva Neggers (14, 17/07/94, Oostelbeers) - Yes we can! ESCKaz experts would like to highlight from the finalists Eva L. and Eva N. and Maxime from non qualifiers. Дополнительную информацию и видео с прослушиваний участников вы можете найти на сайте AVRO. Эксперты ESCKaz хотели бы отметить из числа финалистов Еву Л. и Еву Н., а также Максим из числа невышедших исполнителей. Утверждены и даты проведения отбора. Полуфиналы пройдут 19го и 26го сентября, а финал намечен на 3е октября. Eva Lugtenberg (12) - Gevangen in je hart. Eva Neggers (14) - Yes we can!. Maxime de Wit (11) - Mijn droom. Bram Bos (10) - Ik wil rocken! Yassir Arsalan (15) - Respect! Second stage of castings for Dutch national preselection with participation of 33 performers took place in Baarn's Music Theater on May 17th and you can watch videos from it on AVRO website. Photogallery is available here. First stage is available here (performances of 33 qualifiers from it here). Full list of auditions participants here, around 100 candidates have been selected from around 1700 applications (candidates of online auditions are available here). Wildcard results here. 10 finalists will be selected for the final round in September. Jury members are: Babette Labeij (vocal coach), Lucia Marthas (choreographer) and Tjeerd van Zanen (producer) Вторая стадия кастингов из 33х кандидатов на участие в голландском национальном отборе прошла 17го мая в Музыкальном Театре Баарна и видео с нее вы можете увидеть на сайте телеканала AVRO. Фотогалерея доступна здесь. Первая стадия доступна здесь (выступления 33х лучших - здесь). Полный список участников прослушиваний - здесь, около 100 кандидатов были выбраны из около 1700 полученных заявок (кандидаты онлайн прослушиваний - здесь). Результаты вайлдкард - здесь. 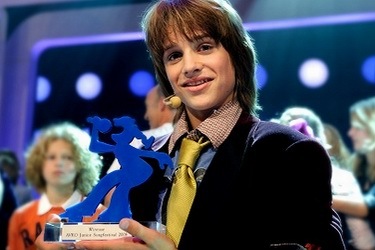 The Netherlands is second country after Belgium that has announced launch of national preselection for Junior Eurovision 2009. Submission period will start on February 1st and will end on April 10th. The submitted music should not necessary be a full recording: simple arrangement or even acapella entries are accepted: the main thing is to have lyrics and vocal melody. All songs must be written by participants themselves and performed in Dutch. No more than 6 people are allowed on stage in presentation of the songs, which should not be longer than 2.45 min. Participants should be born between November 14, 1993 and November 14, 1999, be residents of Netherlands or Dutch nationals. A written permission from parents is required. Judging from this regulations, it seems that final of Junior Eurovision 2009 will take place on November 14th. However, Ukrainian broadcaster NTU has categorically declined to confirm this date in it's statement to ESCKaz. Нидерланды - вторая страна после Бельгии, начавшая прием заявок на участие в Детском Евровидении 2009. Прием заявок начнется 1го февраля и завершится 10го апреля. Не обязательно подавать готовую песню - это может быть и простая аранжировка и акапелла. Главное, чтобы у песни были слова и вокальная мелодия. Все песни должны быть написаны самими участниками и исполнены на голландском языке. Допускается не более 6 человек на сцене в исполнении песни, которая должна быть не более 2.45 минут. Участники должны быть рождены между 14 ноября 1993 года и 14 ноября 1999 года, быть резидентами или гражданами Нидерландов. Требуется письменное согласие от родителей. Исходя из данного текста правил можно сделать вывод, что конкурс состоится 14го ноября 2009 года, однако, украинская телекомпания НТУ отказалась подтвердить данную дату.